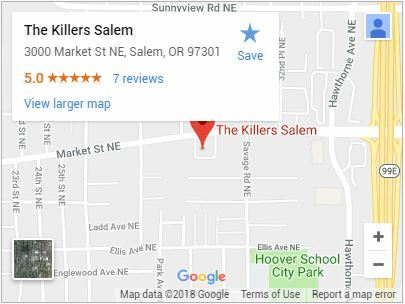 For a premium exterminator in Salem, OR, rely on The Killers to always get the job done. Choosing an exterminator can make the difference between a total elimination of your problem and the horrifying realization that you’ve found more evidence of pests after the job has been done. There are a lot of differences between extermination companies. Some are new to the industry, some offer pest control, and many of them don’t even guarantee their work. We are your one-stop, complete exterminating solution. Not only have we been in business for more than 30 years. We guarantee our work and provide total pest extermination. We believe that the best way to control a pest problem is to eliminate it entirely. We do this by following a process that provides incredible results. Comprehensive Inspections – Every exterminator we send out is an expert in their field. With extensive training and years of pest identification, you can be sure when your exterminator shows up at your door they’ll know what to look for. Every call begins with an incredibly thorough inspection. Nothing is left to chance as your exterminator takes a careful inventory of damage, nesting sites, entrance points, and other important details. This allows them to get the full picture of an infestation and provides vital information for pinpointing what has currently infested your property. Thorough Consultation – Prior to carrying out work, your exterminator will let you know what their findings are and what recommendations they have. We can work within almost any budget in order to provide you with a complete extermination. Our friendly exterminators are happy to answer any questions you may have regarding treatments, and will always strive to make your extermination as little of an inconvenience as possible. 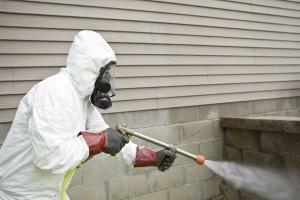 Total Extermination – Nothing is left up to chance, and your exterminator will tailor treatments to your property. Taking in factors like pets, children, property size and the scope of the infestation allow us to provide incredibly thorough elimination in the safest way possible. We believe pests should be eliminated, and the job of your exterminator is to ensure you have a pest-free property. When you need guaranteed, thorough, friendly pest extermination, call (503) 364-8091 or contact us today for the exterminator Salem, OR knows and trusts. Salem, OR is a wonderful town nestled in the heart of the Willamette Valley. With a wealth of activities for adults and children alike, Salem, OR is a fantastic place to raise a family. Children will enjoy the Gilbert House Children’s Museum. With a constantly rotating schedule of events that cover everything from exercise to magic the arts and even radiography, there truly is something for every interest. Adults can enjoy the Hallie Ford Museum of Art. As Oregon’s third largest art museum this Salem, OR staple has a number of permanent collections covering American, Asian, European and Native American art just to name a few. Rotating exhibits round out this robust collection and ensure there is always something new for visitors to see. Albany, Beaverton, Canby, Clackamas, Corvallis, Gresham, Lake Oswego, Lincoln City, McMinnville, Milwaukie, Newberg, Newport, Oregon City, Portland, Sherwood, Tualatin, Vancouver WA, West Linn, Wilsonville, Woodburn and more!